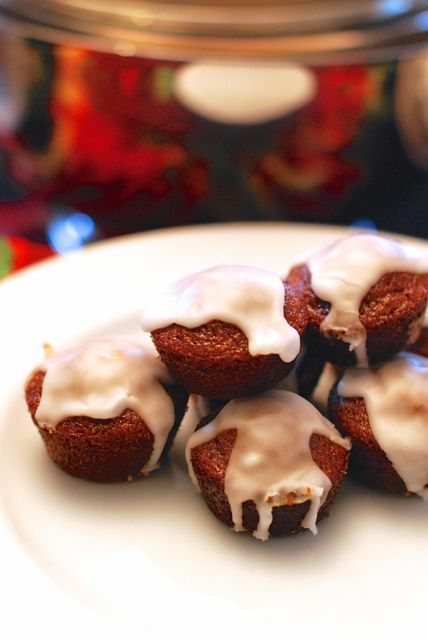 I love baking these gingerbread mini muffins once the holidays roll around. I bake them In big batches and send them to school with my kids and pack them for stroller snacks. The nice thing is that they are bright and bold tasting without being overly-sweet. Instead of heavy frosting there is a light lemon glaze that makes them much more packable and portable than traditional cupcakes. Plus, they make nice stand-ins for Christmas cookies when you just need a break. 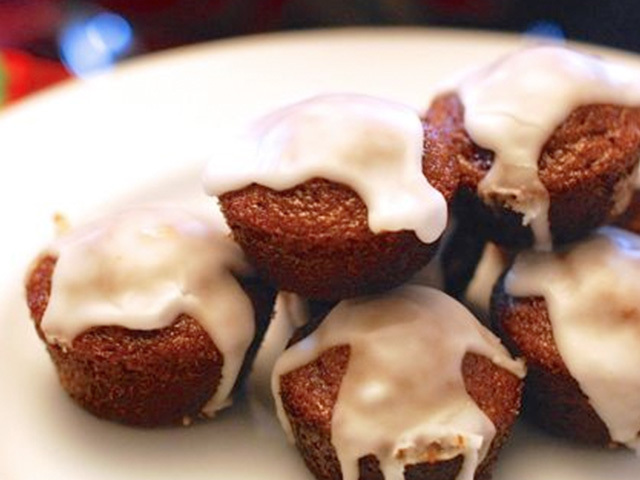 If you don’t have a lot of gingerbread lovers in your family, simply freeze half of this batch for later. Step 1: Preheat the oven to 350 and spray a 24-cup mini muffin tin with cooking spray. Set aside. Step 2: In the bowl of an electric mixer, beat the butter and sugar until light and fluffy. Beat in the molasses. Then beat in the eggs and buttermilk. Carefully stir in the flour, baking soda, spices, and salt until the batter is smooth. Fill the muffin cups ½ full and bake for 12 to 15 minutes, or until the tops spring back when touched. Repeat with remaining batter. You should get about 36 mini muffins. Step 3: While the muffins are cooling, make the glaze by whisking together the sugar, lemon juice & zest, and about 1 tablespoon of water. Add a little more water if the glaze needs to be loosened up. Dip the cooled muffins in the glaze and serve!